As some of you may or may not know, I have a bunch of friends in the surf and bodyboard industry. And because of that, I get my hands on goodies that I forget to use! 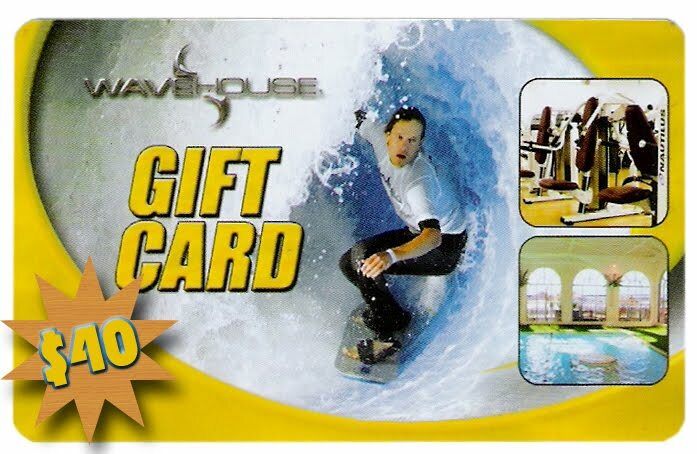 For example, this $40 WaveHouse Gift Card for the Flowrider and BMax in San Diego. 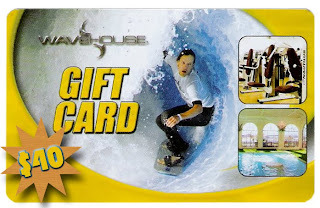 So for now on, I'm going to be giving away some sort of schwag every month starting with this $40 Gift Card. Yeah, you can see it as a cheap way of me recruiting blog followers. But hey, it's a win-win situation here compadres. Oh right, the rules are simple: 1. Follow my blog. 2. Email me your best action shot (Jpegs no larger than 300kb, please). I'll choose a winner at the end of each month. Good luck! SUP Get Aways In Northern Baja? Manny V Productions. Picture Window theme. Theme images by MichaelJay. Powered by Blogger.